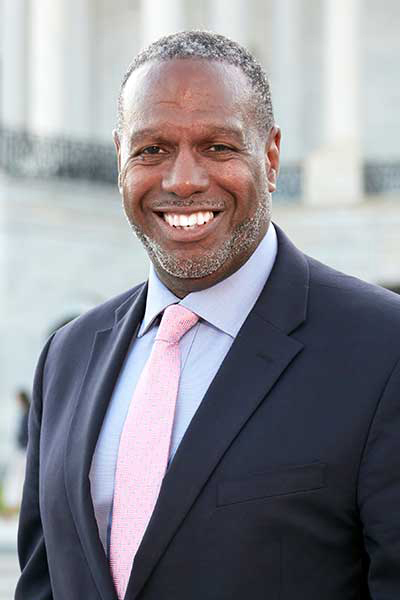 Lorenzo Bellamy has over 25 years of government relations experience, starting as a Legislative Advisor in the Washington, DC offices of two prominent International law firms. Before founding Bellamy Genn, Lorenzo was Director and Legislative Counsel at a well-known legislative practice of a Maryland law firm. While there, Lorenzo successfully secured several millions of dollars in bond financing for clients doing business in Baltimore and throughout Maryland. Throughout Lorenzo’s career, he has advocated for the passage of legislation benefiting clients in the energy, environment, health, housing, non-profit, manufacturing and transportation industries. In addition to a successful legislative practice, Lorenzo represented and assisted many clients in procurement matters before state and local agencies amounting to date in over $600 million in procurement awards. Lorenzo positioned clients for the best possible opportunity to win current or future Request For Proposals by using a combined government relations and legal approach to defend or attack the validity of awards made by state and local agencies. Because Maryland and several of its larger jurisdictions have a robust Minority Business Enterprise program, Lorenzo assisted large and small business clients with Minority Business Enterprise compliance on procurement matters at the state and local level. Prior to his work in Annapolis, Lorenzo founded the Bellamy Law Firm in Washington, D.C. where he focused on international trade development and transactions. Bellamy advocated on behalf of Fortune 500 companies before the executive and legislative branches of the U.S. Government. He served as a legislative advisor in two major law firms and has extensive background in federal, state, and municipal legislative advocacy, including lobbying on behalf of Baltimore City before Congress. Lorenzo lived in Africa for almost ten years, specifically in Morocco, Sudan, the Democratic Republic of Congo and Rwanda. He also lived in Europe for five years, specifically France and Belgium. He has worked on transactions in South Africa, Madagascar, Angola and Ghana. In Angola, he represented a Houston-based company in a joint venture with an Angolan company to provide a multinational Fortune 100 energy company with supplies and services. The deal was financed and insured by the Overseas Private Investment Corporation (OPIC). Lorenzo was retained by the President of Madagascar to advise on World Bank policies, (hot link to picture with World Bank President) African Growth and Opportunity Act (AGOA) best practices, and interface with National Institutes of Health on Malagasy health policy. He was the co-manager of the AGOA Coalition, advocating for passage of AGOA, a landmark trade bill that facilitates trade between U.S. companies and qualified sub-Saharan African companies. Lorenzo, executed a Memorandum of Understanding with the Prince George’s County Economic Development Corporation (PGCEDC-Africa Trade Office) to be a resource for businesses wanting to do business in Africa. Lorenzo serves on several boards, including Christian Legal Aid, DC, and the Maryland Government Relations Association had been consistently recognized as a Maryland Super Lawyer in Government Relations and was honored by the Legal Aid of Maryland with its Executive Director Award and in 2015 received Rite Aid’s Government Relations Facilitator of the Year Award in recognition for assisting with government and public relations during the riots and protest in Baltimore during the Freddie Gray death and its aftermath. Lorenzo speaks French and is an avid soccer player, having started at the age of eight, and continues playing in local leagues (he is the Captain/Manager of a local Montgomery County, MD based team) and pick-up games in the Washington, D.C. area. Lorenzo lives on Capitol Hill in Washington, D.C. with his wife and two daughters.